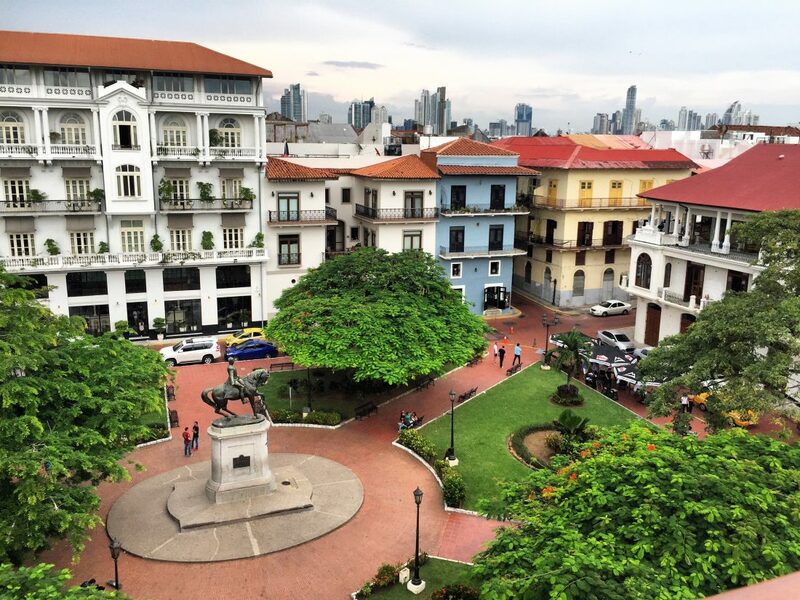 Panama City’s beautifully restored historic district, Casco Viejo, is the hippest and most vibrant neighborhood to learn Spanish in Panama. Upon landing in Panama City (or anywhere else in Latin America), knowing a little Spanish can go a long way, as well as save you a bit of money. I remember during my recent trip to Nicaragua honestly thinking “thank god I know Spanish.” My flight landed in the middle of the night, and I needed to ride two “chicken buses” to get from Managua to San Juan del Sur. I could have gone the easy route and paid $100 for a taxi but $4 in bus fares was more in my budget, plus I had the confidence to ask locals in Spanish which bus to take and where to get off. The journey was smooth, and I arrived in one piece to San Juan del Sur for a fraction of the cost. As a 6-year expat living in Panama, I often forget that the level of English spoken here is pretty low. I’ve gotten to a comfortable level of Spanish and have plenty of English speaking friends that I don’t even notice it anymore. It’s once I hear the complaints of new arrivals and tourists that I’m reminded that not many locals speak English and the people visiting don’t speak Spanish. So what should you do? Learn Spanish. The first time I got serious about learning Spanish in Panama was almost three years after living here. It’s still something that I regret not starting sooner. However, I was going to an English-speaking university and doing a marketing internship after class every day, which didn’t leave much room in my head to focus on learning a second language. In 2014, I began taking classes at Casco Antiguo Spanish School, and this would last for three months. I was still working so I only had time to go to class on Saturday mornings. Just to prove how serious I was about learning Spanish, I only went out the night before once on Friday, and it was because it was a friend’s birthday (trying to learn Spanish with a hangover is hell so don’t do it). Back then, the school was located in a gritty community center in historic Casco Viejo neighborhood that was undergoing major gentrification. My classes were personalized and I felt they tailored to my speaking level. It was motivating to see myself getting a little better each week. Normally after my lessons, I would wander through the narrow streets until I stumbled upon a new cafe to try. The majority of the buildings had not been remodeled yet and were a mix of locals living in condemned buildings, a few cafes, restaurants, and markets. If it wasn’t for the classes, I don’t think I would have truly discovered Casco Viejo, nor got to see its transition. Fast forward to today and Casco Viejo, also known as Casco Antiguo, or just Casco is much more polished than it once was, and so is the school. Many of the buildings, churches, and plazas have been brought back to life, and now there’s an array of upscale dining options, trendy rooftop bars, and entertainment. 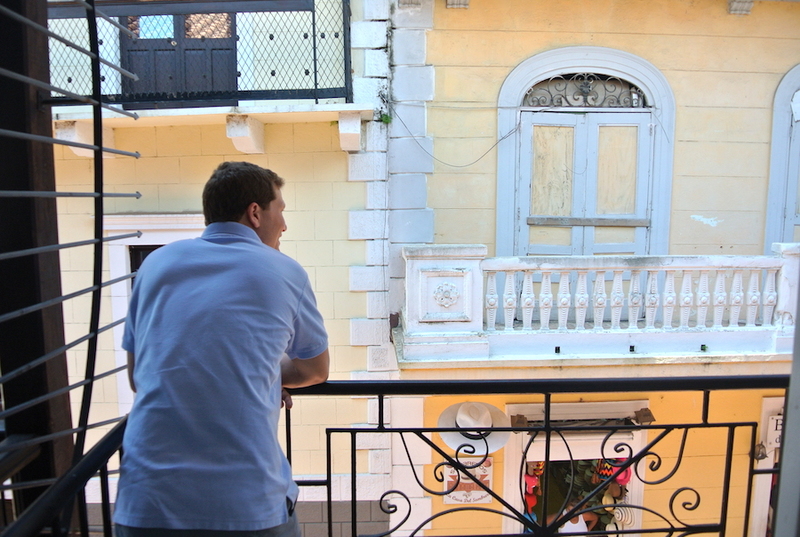 For anyone visiting Panama, you’ll quickly notice that Casco Viejo is the best neighborhood to stay in. You’ll find that it’s peaceful and quiet during the day and then comes alive at night once all of Panama City’s locals head to Casco’s trendy cocktail bars. It’s the one place in the city where you can walk to ANYTHING you need within 10 minutes. Art, restaurants, bars, cafes. It’s all here. Most people who don’t stay here wish they had. And most people who don’t live in this neighborhood wish they could (rent is crazy expensive). It has become the Brooklyn of Panama City and the all cool kids are flocking here. 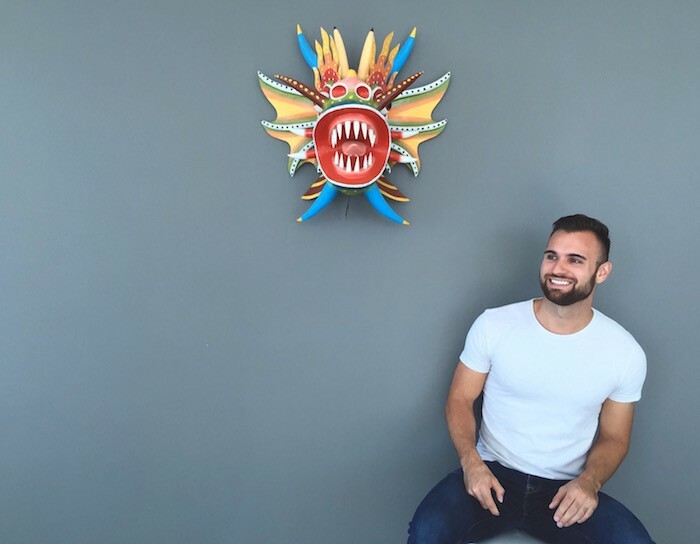 As part of all the changes happening here, Casco Antiguo Spanish School just moved to an awesome new building along Avenida A and Calle 5 (behind the Museo del Canal de Panama) and the owner, David invited me to come to check out the new space! 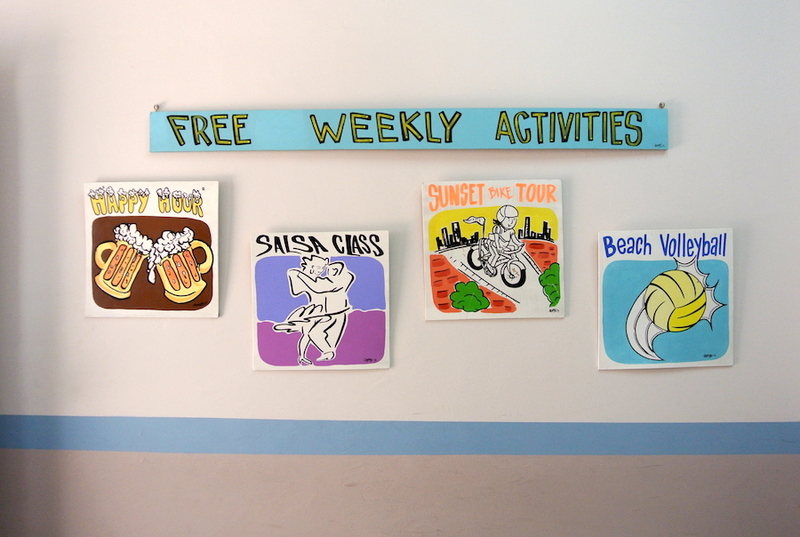 Their new building is super central and has seven air-conditioned classrooms and a sweet back patio used for their weekly salsa lessons (free for students and $10 for non-students). They also have a balcony on the second floor so grab a 6-pack after class at the nearest “mini super” and unwind while people watching. Su casa es tu casa. 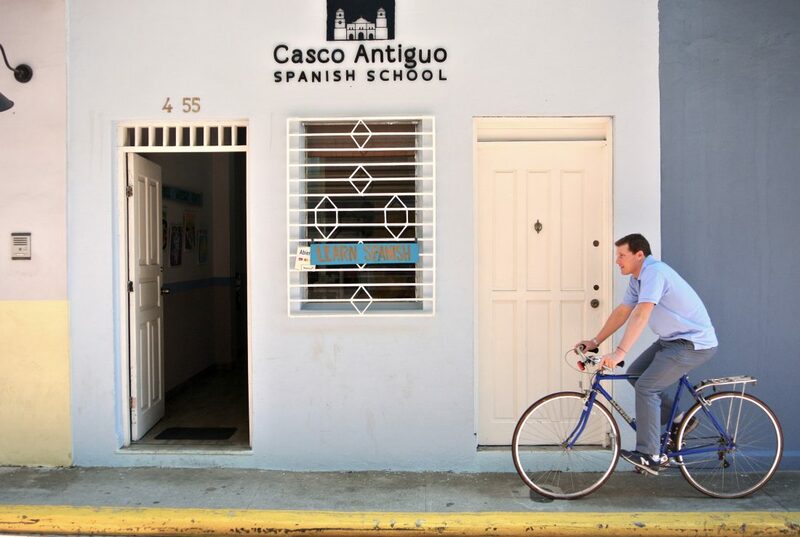 Depending on the amount of time you have in Panama, Casco Antiguo Spanish School has a variety of options for the short-term traveler or expat. Their most popular program is the Small-Group Intensive Course, a 5-day, 20-hour program packed with group activities each day. You’ll get to enjoy the charming streets of Casco Viejo during the week while learning Spanish and then have the weekend free to explore somewhere beautiful outside the city. Or if you are REALLY short on time, they offer a half-day Spanish For Travellers Course which gives you the Spanish vocabulary and essential phrases you need to survive and get the most out of your time in Panama or other Spanish speaking countries. 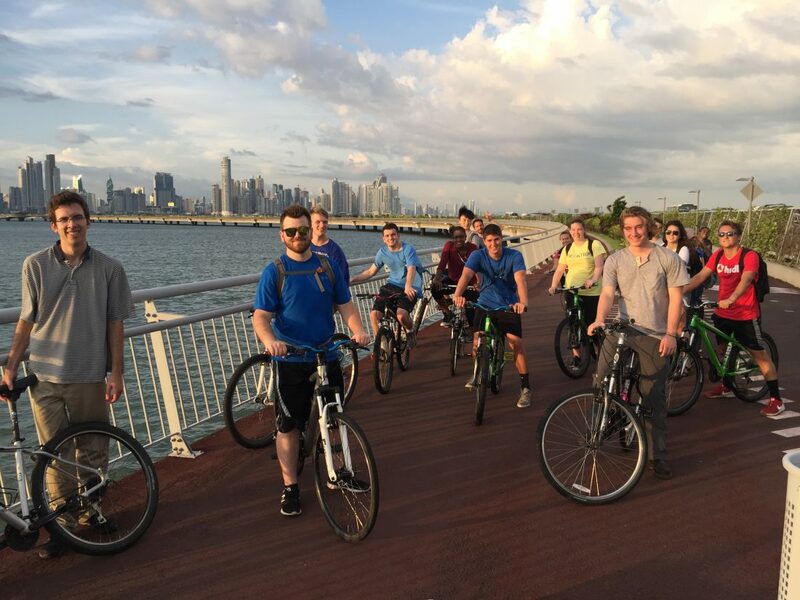 Both courses include a free book, material, notebook, pen, coffee, tea, and activities (salsa, sunset bike ride, volleyball, and happy hour). 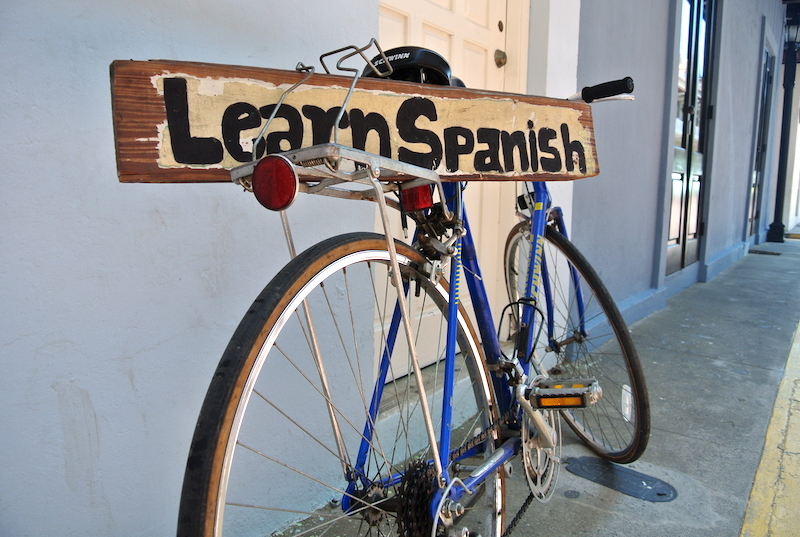 Plus you can additionally practice your Spanish by doing a volunteer program after class (coordination for volunteer placement is free for all students). As a tourist, it’s also accessible to stay in this neighborhood if you know where to look. 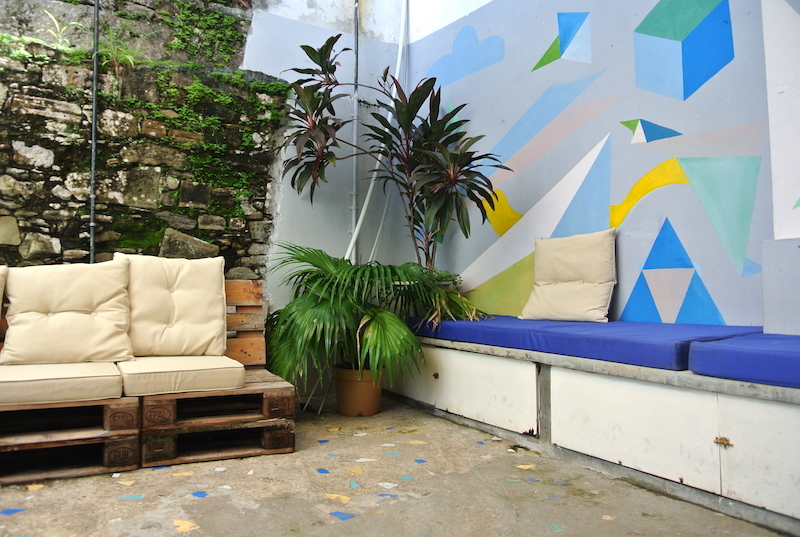 If you’re on a budget then Hospedaje Casco Viejo, Luna’s Castle, Magnolia Inn, and Hotel Casco Antiguo have dorms starting around $15/night and private rooms around $30 – $80/night. 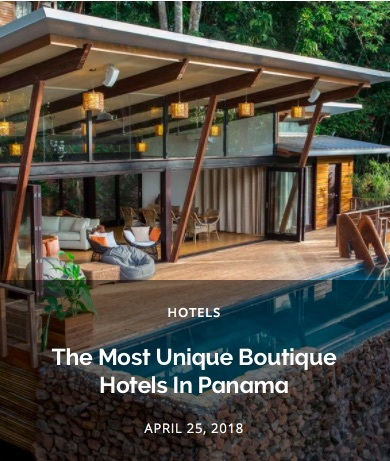 But if more luxurious accommodations are what you’re after, the Villa Palma Boutique Hotel, La Isabela Suites, American Trade Hotel, and Casa Garay are a few spots to check out. 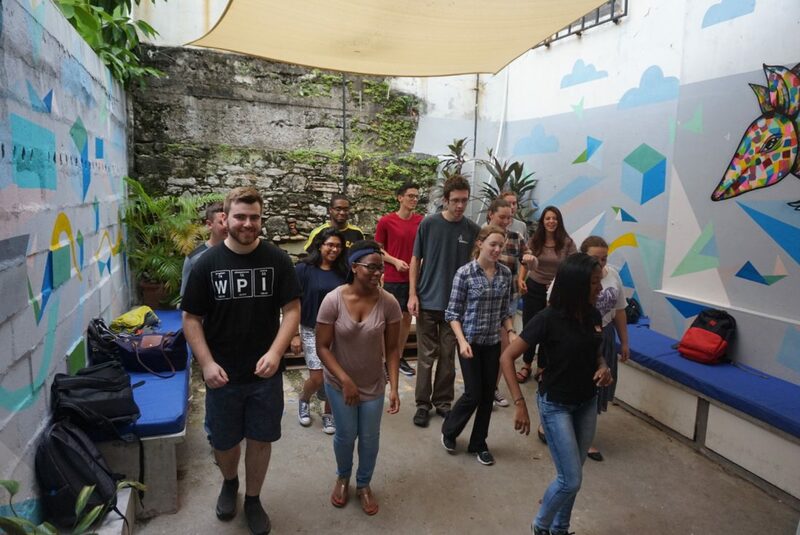 The great thing about Casco Antiguo Spanish School is that they can also assist with longer-term booking accommodations like a homestay or an apartment if you decide to do a longer course. As an expat or tourist not staying in Casco Viejo, the school is also easily accessible via public transit. The quickest way is by Metro (get off at the 5 de Mayo stop), which is .35 cents and a 15-minute walk away (walk down the Avenida Central pedestrian street from the Metro stop). Or you can also take the Panama Viejo bus to Mercado de Mariscos and walk from there. But the easiest way to arrive is with Uber directly to the school which is usually around $3-$4 depending on where you come from. For car owners, a lot is located just 1-block from the school for just $5, all-day parking. 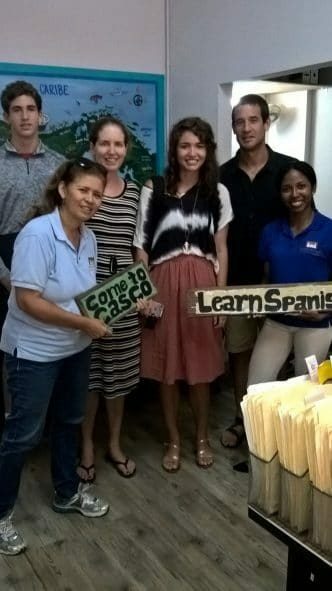 Head over to THIS LINK to begin your registration for Spanish classes at Casco Antiguo Spanish School (mention PTY LIFE and get a FREE 45-minute Private Demo Class). 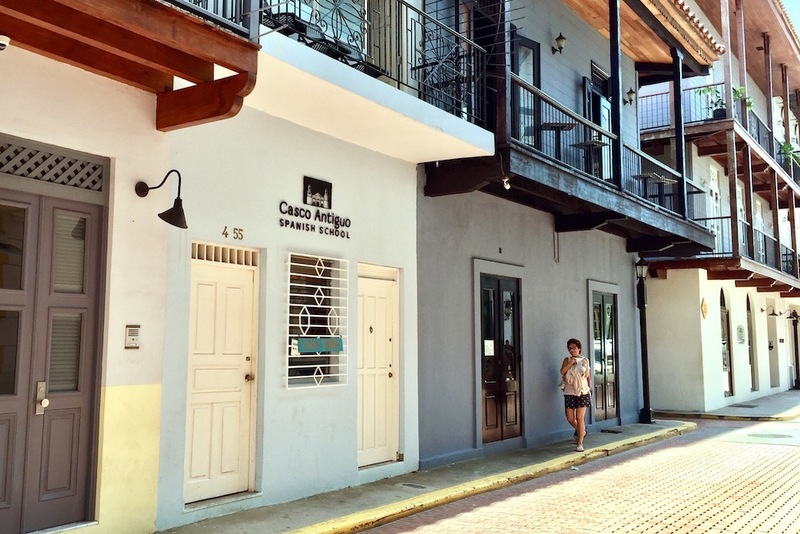 Casco Antiguo Spanish School is located on Avenida A and Calle 5 behind the Panama Canal Museum in Casco Viejo. They are open 7 am to 7 pm during the week and onSaturday from 8 am to 12 pm. They can be contacted by phone at (507) 228 3258 or (203) 820 2234 if calling from the US or email at info@cascospanish.com. 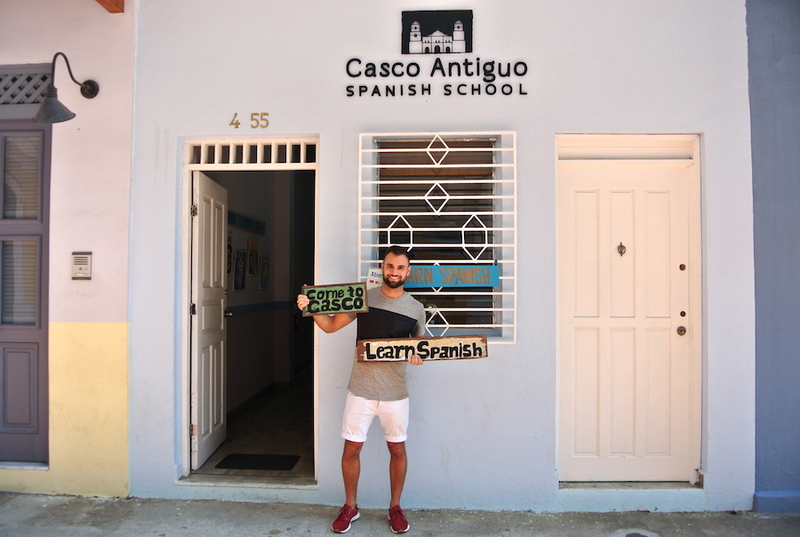 For the latest updates on Casco Antiguo Spanish School, visit their website and be sure to follow them on Facebook, Twitter, and Instagram. 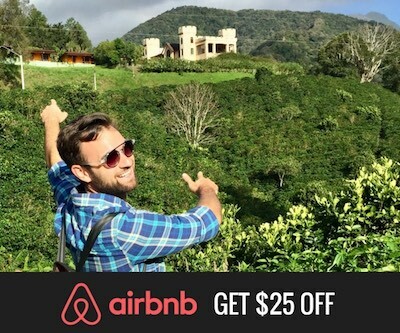 This is a sponsored post promoting Casco Antiguo Spanish School, and I received compensation in exchange for writing this review. Although this post is sponsored, all opinions are my own, and I will never publish anything that I wouldn’t go to myself. For information on promoting your business through PTY Life visit THIS LINK.